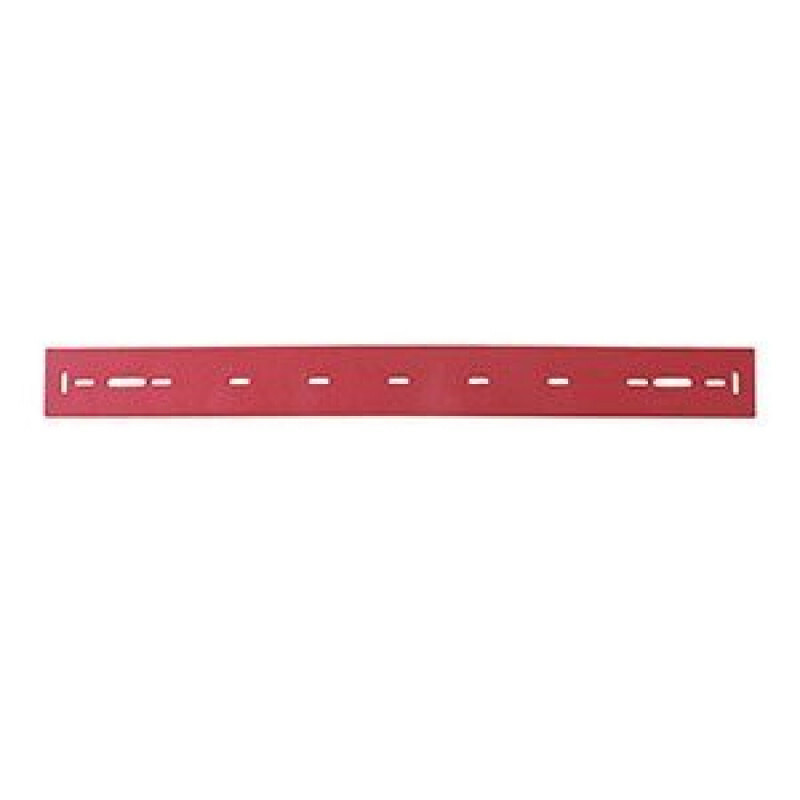 This 15" red squeegee blade is made out of neoprene, and is a universal rear squeegee blade on a 2 squeegee system. The front squeegee blade is slotted and allows solution into a vacuum chamber, and this rear squeegee then follows up behind leaving the floor completely dry after one pass. If your rear squeegee blade starts streaking, first try and wipe the edge of the squeegee blade to remove any possible debris. If this doesn't work, try reversing the squeegee blade, as all 4 edges of this squeegee blade can be used for recovery. Both of these universal squeegees fit onto our Viper Fang 15B Auto Scrubber, and can be found in our full auto scrubber squeegees section. The Fang 15B auto scrubber is perfect for small to medium commercial areas that are in need of consistent scrubbing. Customers who were interested in the Viper Fang 15B Auto Scrubber Rear Squeegee Blade were also interested in the following items. This is a review for the Viper Fang 15B Auto Scrubber Rear Squeegee Blade.